Win a Divine Chocolate Hamper worth £19.95! 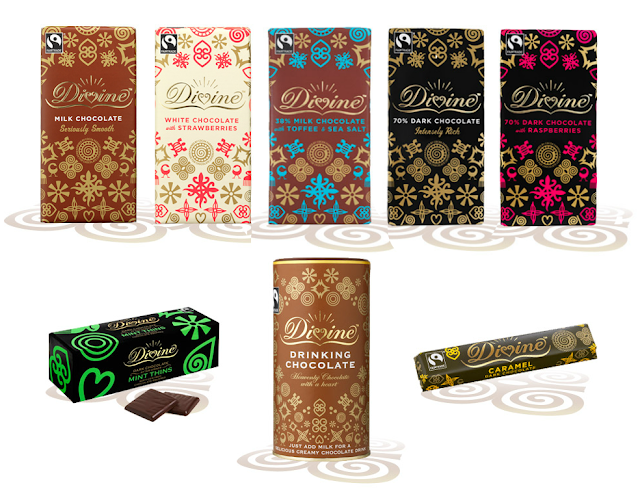 Divine is the only Fairtrade chocolate company which is 44% owned by cocoa farmers! While Fairtrade ensures farmers receive a better deal for their cocoa and additional income to invest in their community, company ownership gives farmers a share of Divine's profits and a stronger voice in the cocoa industry. Divine is sold near enough world wide, and if you've not ever had the pleasure of tasting some of their wonderful products yourself, I, together with Divine are giving one lucky reader or visitor the chance to win a Divine chocolate bundle, and I promise you, it won't disappoint! • x2 - 70% Dark Chocolate with Caramel Bar - 40g - £1.00 each. • x1 - 70% Dark Chocolate Bar - 100g - £2.19. Please note: You must at least follow or like Unique Young Mum and Divine on at least one social media platform! To find out more about Divine, and to view their full range of products, check out the official website here.